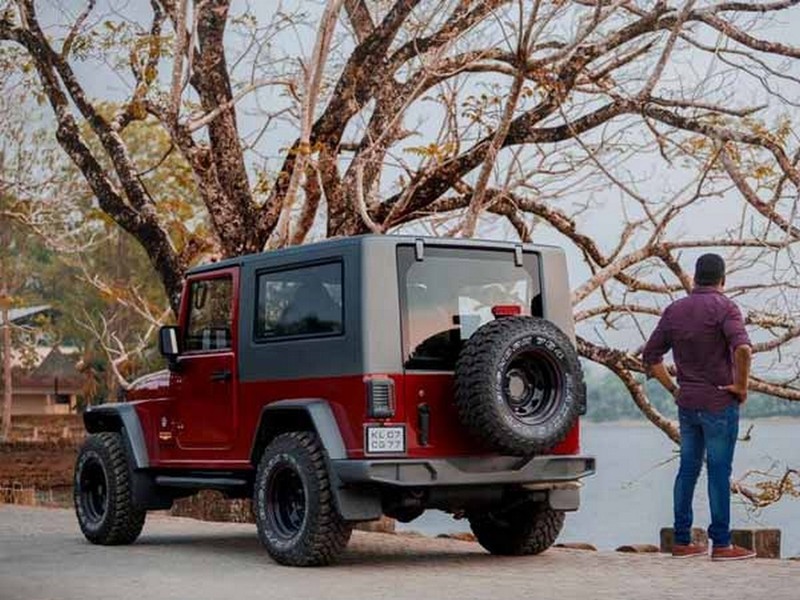 FCA officially introduced the Jeep brand in India after years of speculations and what turned up was a bit of a shocker. The legendary American SUV making company entered the domestic market with two of its top selling products around the globe, the Wrangler and Grand Cherokee. 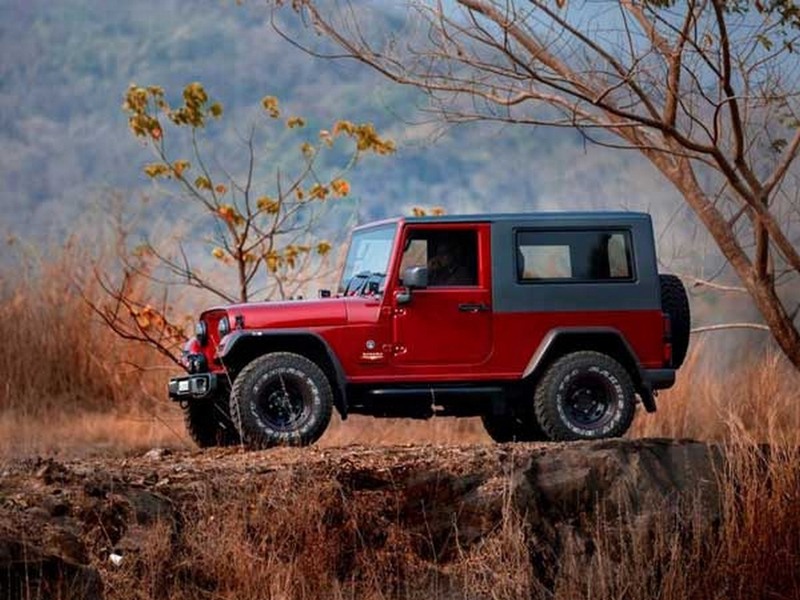 With potent and stealthy body accentuated by off-roading character of its world renowned SUVs, Jeep India was trying to set a big impression early on but the buzz created was left in vain as the price ranges quoted did raise eyebrows. The Italian-American group will quickly address this issue as an all-new model will be slotted in the premium SUV segment. It is the Compass rivalling the likes of Fortuner and Endeavour at a justifiable price of around Rs. 25 lakh thanks to local production. 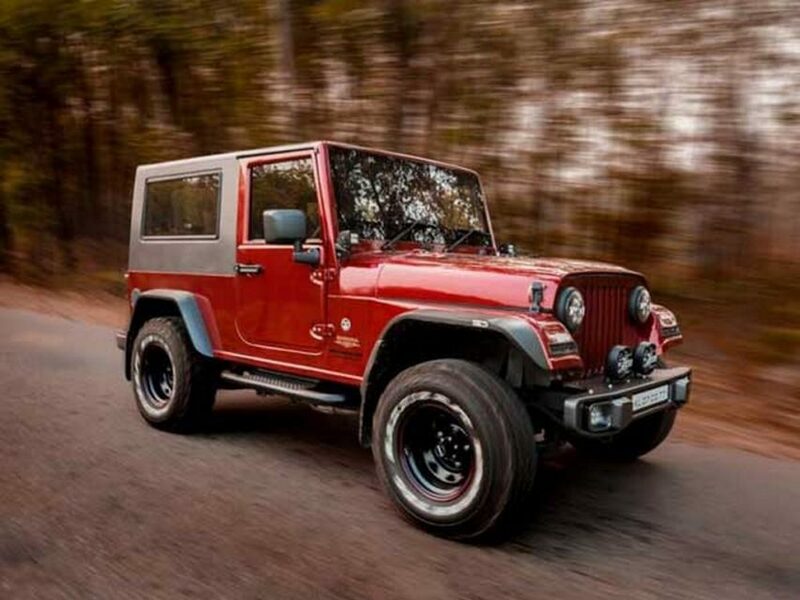 Despite the recently launched petrol Wrangler Unlimited sold over Rs. 16 lakh cheaper than its diesel counterpart, it is still an expensive piece of metal. So, what if you desperately want a Wrangler but cannot afford the money? This mod job will inspire you to do one on your own. 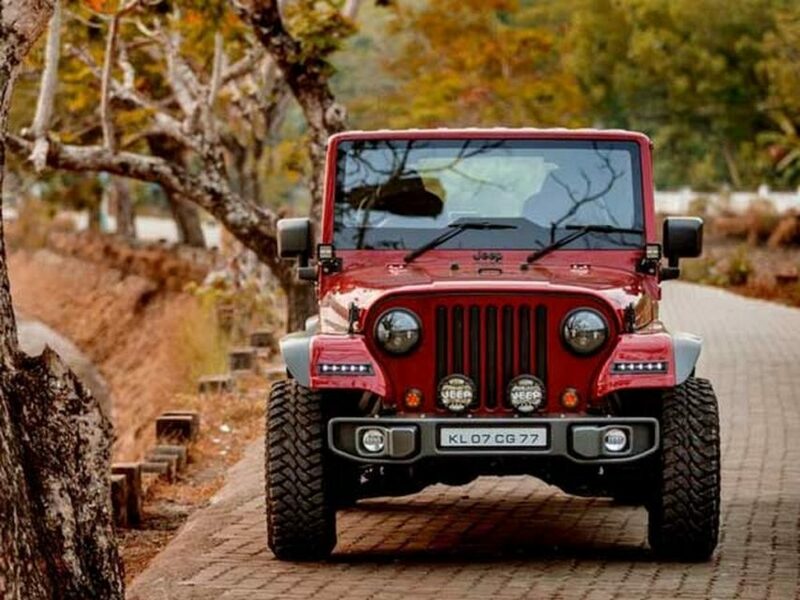 When we think of a budget off-roader will essential styling cues, Mahindra Thar rings the bell and it has been customised in every possible way to look like a Wrangler Unlimited. Worked up by Red Fox Autocare, the stock components of the Thar have been removed in favour of parts that normally go into the Wrangler for an authentic exterior. 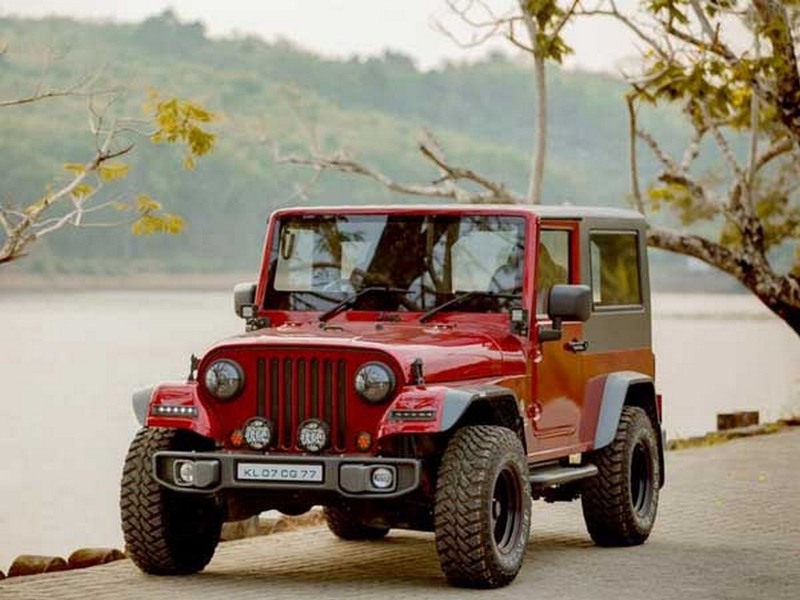 A Jeep badge is fitted on the middle lower portion of the windshield while the tail lamp unit, fuel cap, door handles and Outside Rear View Mirrors are the same elements found on the standard Wrangler. 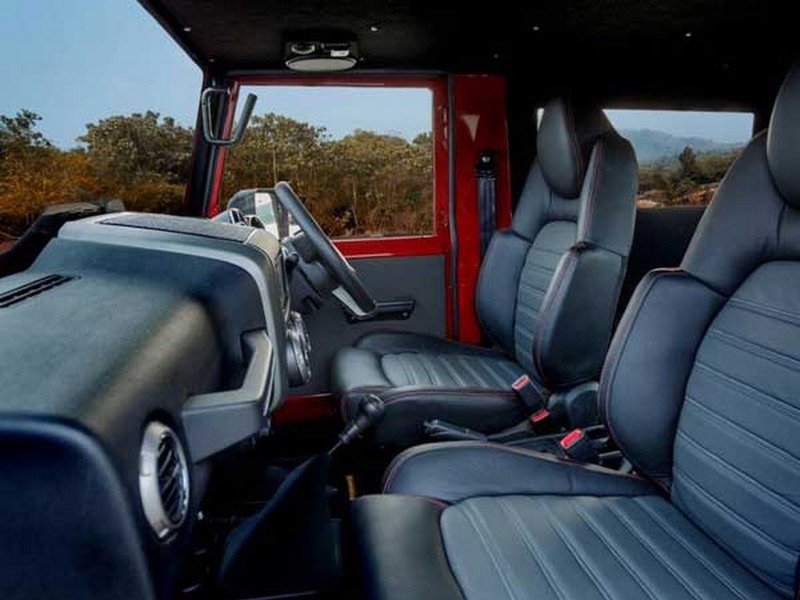 The boxy traditional windscreen of the Wrangler eliminates the stock unit of Thar to render a characteristic off-roading appeal. A modern horizontal LED strips are incorporated up the modified front fender while the front and rear bumpers have received aftermarket touches as well. It rides on wider set of Maxxis tyres and the wheel arches are extended to bring an aggressive 4×4 stance. Also Read: Behold the Customised Baleno With Scissor Doors that Make Sense! Besides the roof being a grey hardtop, it blends well with the red exterior paint job. Changes are made on the inside too as the seats are new to give a more comfortable feel and there is a new music system fitted. This modified Thar is quite remarkable in my eyes as it’s quite conventional and authentic but the entire process appears to have taken nine months to complete and excitingly only Rs. 5 lakh spent for it.